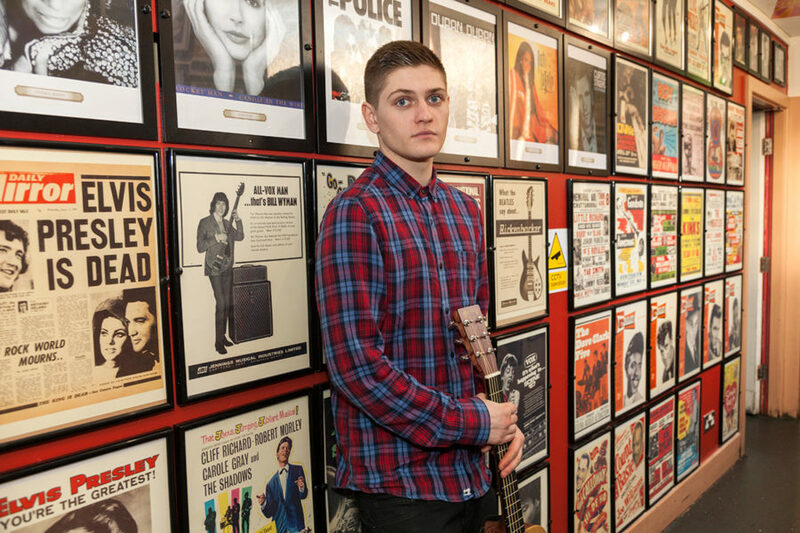 Meet Jake Shakeshaft, a talented young singer & contestant on BBC One’s The Voice UK who rocked this portrait session in Blackpool. Do you watch BBC One’s popular Saturday night singing competition The Voice UK? 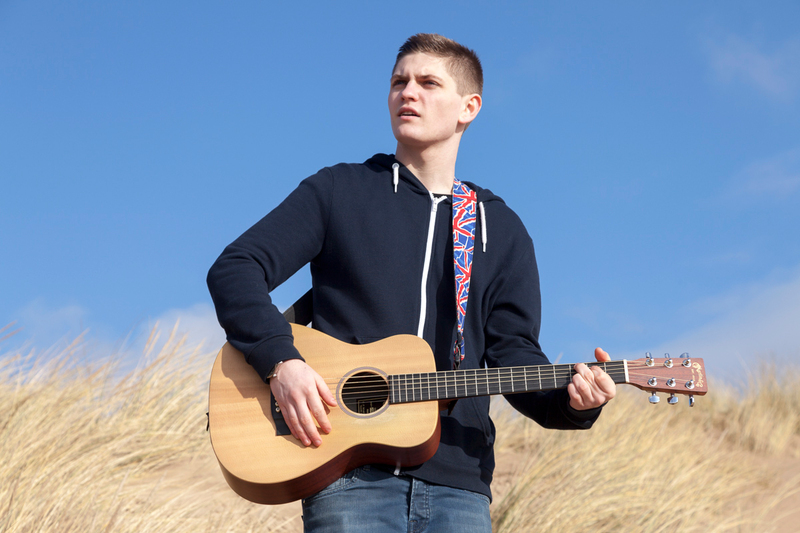 If you do, I’m sure you’ll instantly recognise Jake Shakeshaft, a wonderfully talented 19 year old singer, who wooed and won over the judges with his passionate performance of Ed Sheeran’s ‘Thinking Out Loud’ at the blind auditions. After impressing the likes of Will.i.am, Tom Jones, Rita Ora and Ricky Wilson (as well as TV viewers across the country) Jake’s appearance on The Voice UK has created a real buzz and excitement online. 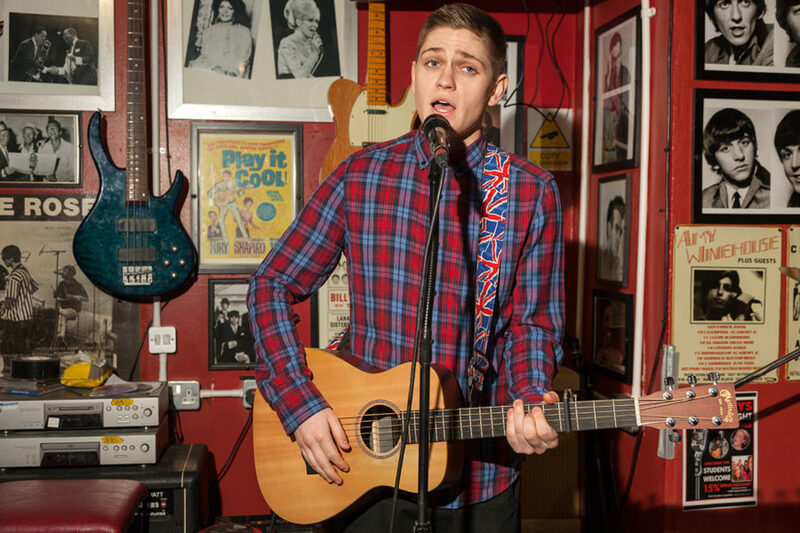 With nearly three million views of Jake’s audition on YouTube, thousands of Facebook likes and a growing Twitter following (not to mention a number of adoring fan accounts) this young singer is clearly in demand and a favourite to make it to the finals of the competition. Jake just happens to be my cousin too, so when his Dad/Manager/Roadie (and my Uncle George) phoned to see if I was interested in putting together a photo shoot there was only going to ever be one answer – YES! 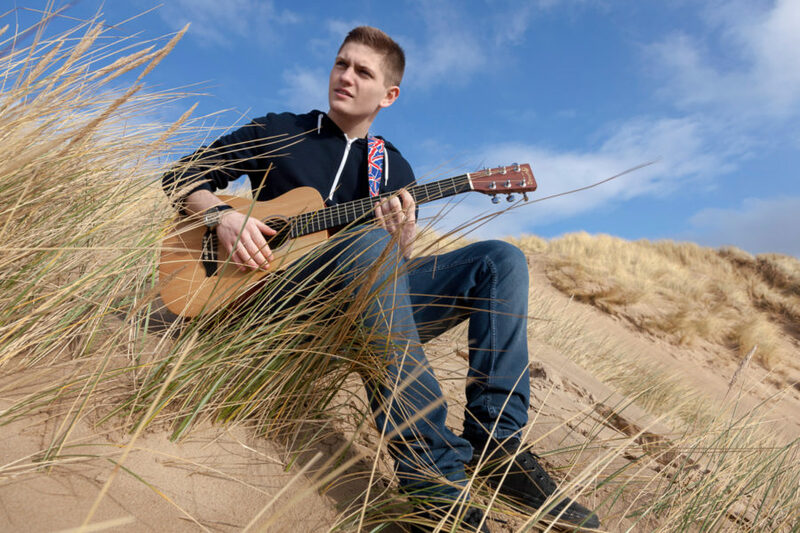 We arranged a date when Jake could visit Blackpool and I put together a plan to do two photography shoots – first at the nearby sand dunes (weather permitting) followed by a shoot at the Galleon Bar, a local music venue in Blackpool, who kindly agreed to host us for a few hours. When Jake, along with his Mum, Dad and girlfriend, arrived on the day of the shoot we all sat together in my living room and had a catch up. It was great to hear how the experience has changed his life and also get a bit of insider gossip about The Voice UK (I’m afraid I’m sworn to secrecy!). After we’d all had a good chat, we drove along the promenade towards the sand dunes for the first part of our photography shoot. You can see four of my favourite photos of Jake on the dunes below. Although it was fairly sunny at first, it was also fairly cold and windy too. It wasn’t long before we decided to move from the top of the dunes to an alcove that protected us better from the elements. As Jake played his guitar and softly sang I moved around composing and shooting photographs him against the background of a beautiful blue sky. 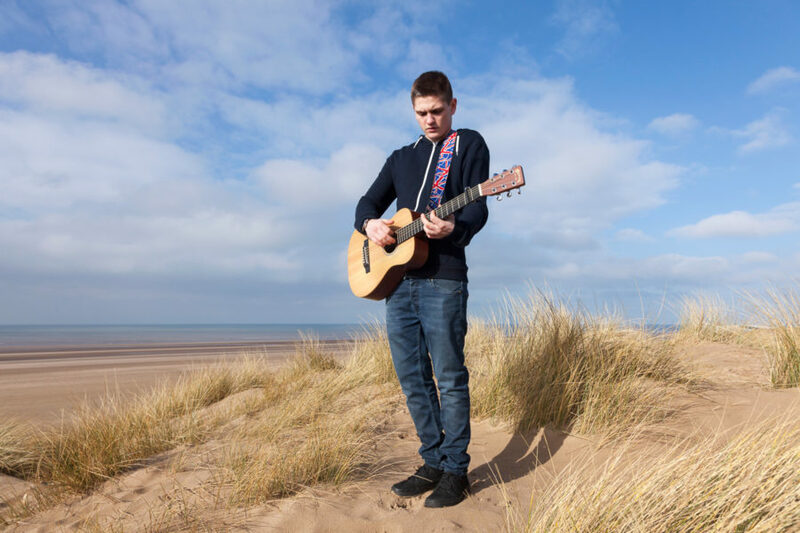 Once we got some pictures we were both happy with, we packed up our things before driving the short distance to Blackpool for the second shoot at the Galleon Bar – a great music venue for shooting a portrait of Jake. 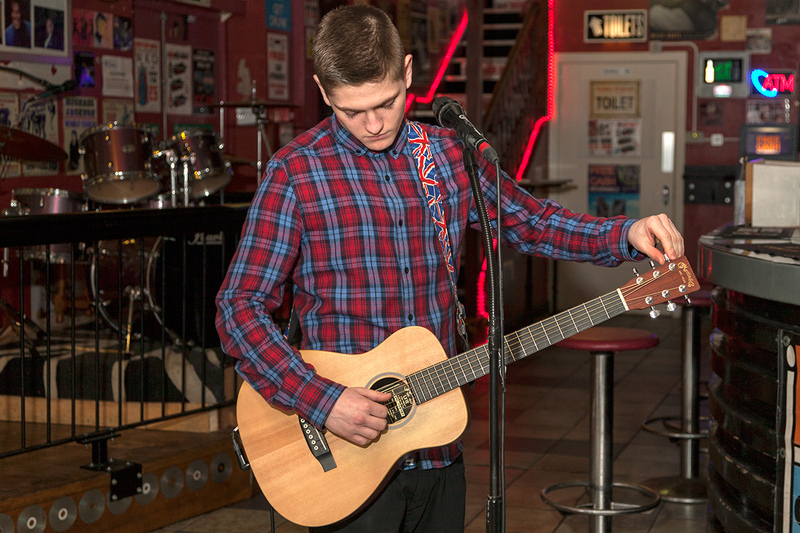 The Galleon Bar really is a great location for a photo shoot with a young musician. 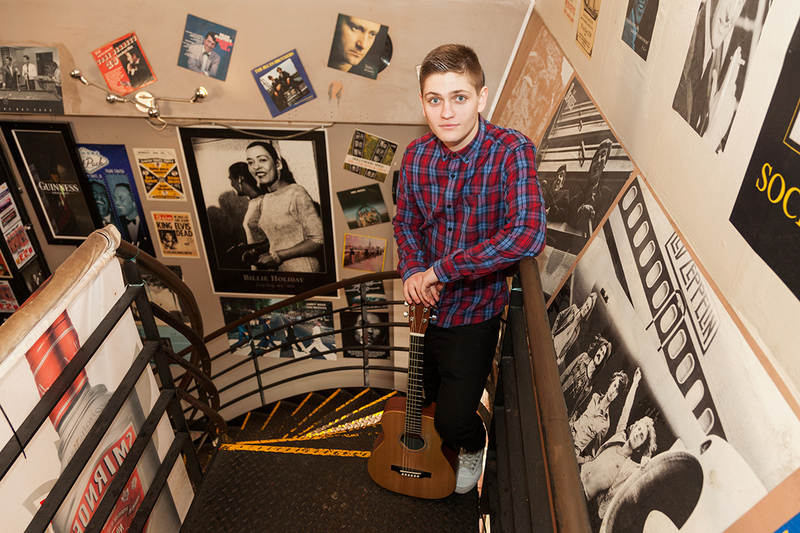 The walls are packed full of photographs of music legends and the venue oozes with character. I could tell from the moment we arrived that Jake was inspired and felt comfortable by the venue which made doing the shoot an absolute dream. As it was early in the afternoon the bar was completely empty, so Jake plugged in his guitar and treated us to an impromptu performance while I captured the photographs. You can see us both in action in this behind the scenes photo taken by my lovely assistant & girlfriend Sameera. What do you think of these photographs of Jake Shakeshaft? Please leave your comments below, I’d love to find out what you think and I sure know Jake would love to see them too. If you like my photographs of Jake please share this blog post with your friends and followers online. 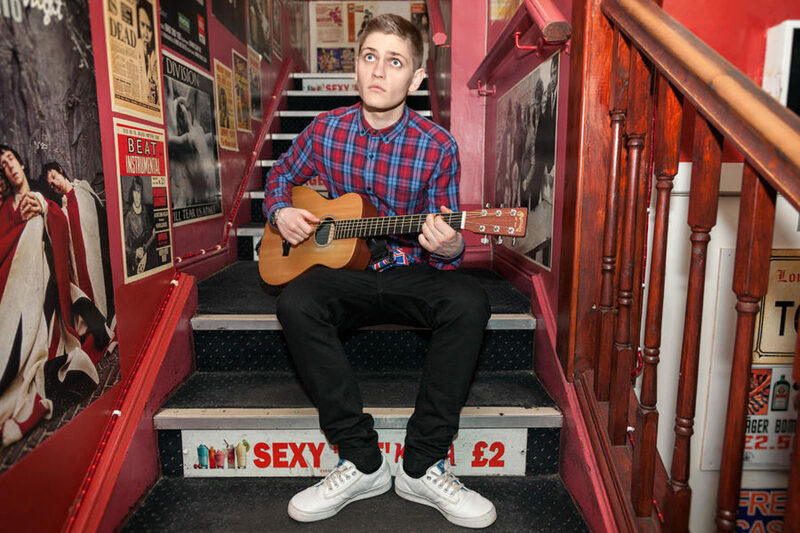 Huge congratulations to Jake who has, moments ago, just won his battle round on The Voice UK!!! Well done Jake! 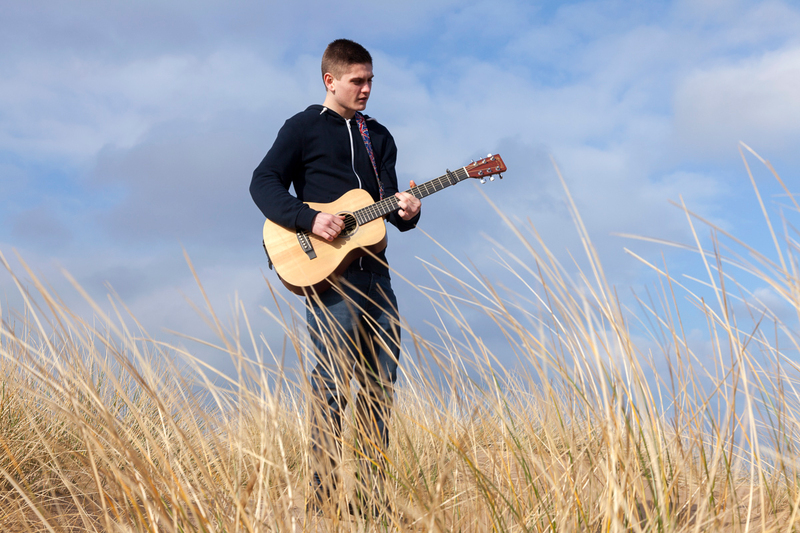 This entry was posted in News and tagged Blackpool, Jake Shakeshaft, Music, Portraiture, The Voice UK.